Mumbai: We know Shah Rukh Khan as a superstar, a dotting father, an inspiration, seeker of knowledge and a gentleman. Just like an open book, Shah Rukh Khan’s personal and professional lives are completely out in the open for fans. But not many know how the actor is in his private space and how he is around people who work for him. So obviously when even a tiny information on Shah Rukh Khan finds its way on the Internet, his fans drop everything and go gaga over it. Being a charming and down to earth person with a pinch of sense of humour, Shah Rukh easily becomes the centre of everyone’s attention wherever he goes. Never a boring topic, fans absolutely love unraveling more and more about Bollywood’s King Khan. Well, in case you, just like many, are curious to know what kind of person Shah Rukh is when he steps away from the limelight, you are in for a delightful treat! 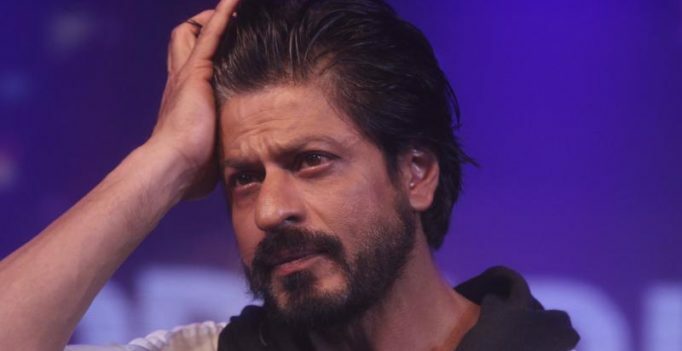 A used on Quora asked ‘what is the character of Shah Rukh Khan in his private space’, to which King Khan’s ex-employee happily obliged with all the insight she had on him. I worked at SRK’s home office for a year. I’ll be going anonymous because I’m still working in the same industry. He’s a total foodie. We Delh-ites are suckers for Sita Ram Diwan Chand ke Chhole Bhature. I had once brought 2 packed plates of it for myself when I came back to Mumbai from Delhi. He heard me childishly bragging about it in the corridor & told me to inform him when I was having lunch. He said he hasn’t had them in so long & was craving for a bite. I thought he was joking because he frequently made these Delhi-reference jokes with me as I was his only home-office employee from Delhi. But he wasn’t joking! He actually came to the cafeteria during my lunch break, sat across the table & had all my Chole Bhature! LOL. He usually follows a diet, but that day was not one of those days. He’s very humble. I once accidentally ran my pen over his jacket worth 11-freaking-lacs! His assistant was ready to rip my throat open, but he said it’s okay. He gave me side hug from one arm, ruffled my hair, & asked me to be more careful in the future. He’s not a hothead. May be it’s a cultural thing, but I never felt he was a hothead. Just like I don’t think Virat Kohli is overtly aggressive, he’s just the right amount of aggressive for a sportsman. It isn’t even aggression as much as passion. May be it’s a Delhi thing. We are very passionate & expressive of our emotions, be it love or anger, but that hardly ever manifests to hate. We just say “Tu bahaar mil, BC”. No one ever actually goes out & fights. May be that Delhi ka ‘tora’ still lingers in him, & may be his non-Delhi colleagues & media personnel misunderstand that. He keeps his pre-stardom friends close. A lot of his childhood friends are still like family to him, & either hold high positions in Red Chillies or SRK is an investor in their businesses.